Philanthropy is for everyone. 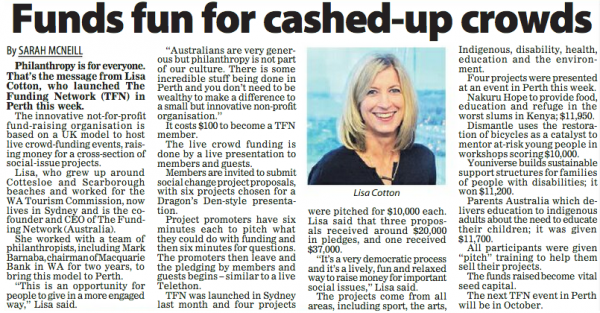 That’s the message from Lisa Cotton, who launched The Funding Network (TFN) in Perth this week. The innovative not-for-proﬁt fundraising organisation is based on a UK model to host live crowd-funding events, raising money for a cross-section of social-issue projects.